Who says you can’t wear white after Labor Day? For the fourth year in a row, treats! 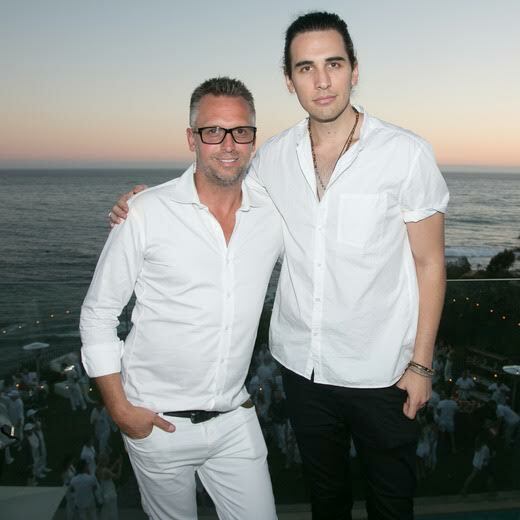 magazine hosted a luxurious all-white dress code party in Malibu with a beautiful background of the Pacific Ocean, celebrating people in fields of art, fashion, music and entertainment. Later on in the evening, Brody Jenner and Frankie Delgado, strolled in and joked around enjoying the laid back pool vibes and stunning view. Absolute Elyx also served up Moscow mules to the thirsty guests including Steve Shaw, treats! Editor in Chief and Founder, who was entertaining friends and guests including pal Spencer Garrett and Singer Matt Bellamy (MUSE) and his girlfriend, model Elle Evans. Foster The People’s Mark Foster got in the party spirit and playfully photo bombed some of guests!